The right to own land. The right to work. The right to hold a bank account. Throughout the course of history, women have had to fight for some very basic rights. One of the biggest rights won by women was the right to vote, and it really wasn’t that long ago in the grand scheme of history. 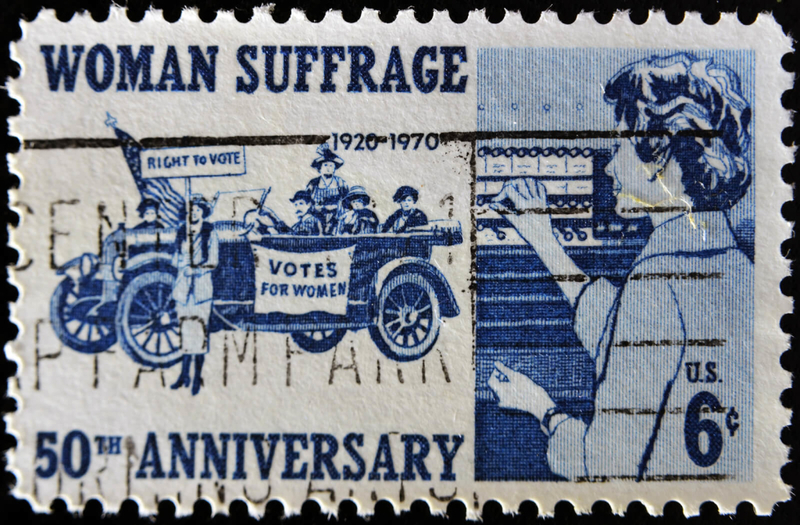 Ratified on August 18, 1920, the 19th Amendment to the U.S. Constitution granted American women the right to vote. But if you thought that women’s suffrage happened overnight—or out of the goodness of elected officials’ hearts—think again. It was in great part due to the tireless work of reformers Elizabeth Cady Stanton and Lucretia Mott in 1848 that women’s suffrage was brought to light on a national level. In addition to Stanton and Mott, women’s rights activists Susan B. Anthony also helped to form organizations that would raise public awareness as well as lobby the government to grant women the ability to have the same voting rights as men. It took a staggering seven decades for the 19th Amendment to be passed. While women have now been able to vote for nearly a century, that doesn’t mean that their battles for equality have diminished. Today, the ability to work flexibly has been a hot button topic for many diverse groups in the workplace. But as we celebrate Women’s History Month, it’s safe to say that none of these groups is more affected than, yet again, women, and in particular, working mothers. After all, working mothers are often expected to balance in-office work demands and deftly switch into mommy mode once they are home, and it’s becoming increasingly impossible for working mothers to juggle all their different loads. Thankfully, there are many organizations and companies that are helping people to attain work flexibility. But while many companies are adopting and implementing their own flexible work policies, there’s still a long way to go before work flex, in all its forms (from telecommuting jobs, to compressed workweeks, to job sharing, part-time positions, and even freelance or contract gigs) is available to every worker. It’s estimated that over 90 percent of workers value flexible working conditions and value an organization that offers it over those that don’t, according to a report by Chess Media Group. In order to get the flexibility they need, workers must adopt a suffragette mindset and speak up for what matters to them. You can do this in a variety of ways, such as by seeking out companies that offer flex work, requesting flexibility from your employer, and spreading the word about the 1 Million for Work Flexibility movement. Most importantly, don’t give in. If you want to have a flexible job so you can care for an aging parent, spend more time with your kiddos, pursue an advanced degree, or enjoy your golden years a little more, whatever your reason, don’t accept an in-office job when you really want to be working from home. Channel your inner suffragette and speak out for what you need, want, and deserve, which is to work the way that makes sense in order to have the best life possible. The suffragettes of the past would be proud.